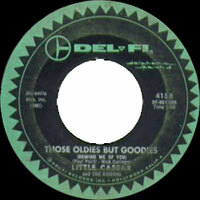 Groupe Doo Wop US formé à Los Angeles (Californie) en 1961, Little Caesar & The Romans comprenait David Caesar Johnson, Leroy Sanders, Johnny O'Simmons et Early Harris. 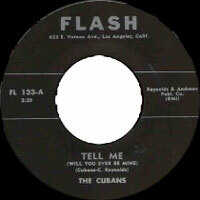 Ils se sont appelé aussi The Cubans et the Upfronts (dont Barry White fit parti) . Ils se sont séparés en 1962. 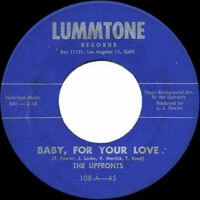 Near the end of the doo wop era, this Los Angeles group made the Top Ten with the nostalgic "Those Oldies But Goodies (Reminds Me of You)," a piano-based ballad that sounded a bit like a bridge between the Five Satins and Little Anthony & the Imperials. 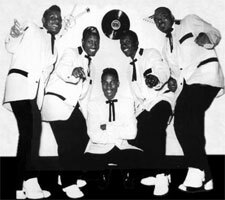 Doo wop's days were numbered when this was a hit in 1961, and indeed the song's title would quickly become a catch-all phrase for rock records of all kinds that had left the charts several years ago. 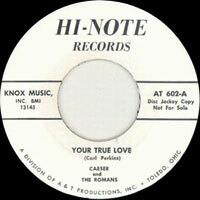 Little Caesar & the Romans went on to record a few singles, and an LP, for Del-Fi in 1961 and 1962, some in a quaint Vocals group manner heavily derivative of "Those Oldies But Goodies," others in a rougher, uptempo R&B mold akin to fellow L.A. artists the Olympics. 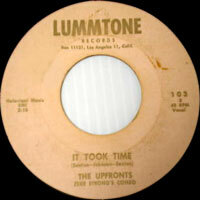 They made the middle of the Top 100 with the dance tune "Hully Gully Again," and topped out at #101 with "Memories of Those Oldies But Goodies," a single that was even more nostalgic than its prototype. 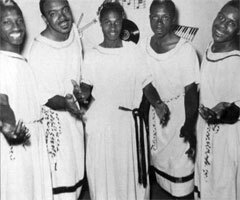 The act, which performed in togas for a while, broke up in 1962, partly as a result of a silly dispute between lead Vocalsist Carl Barnett and David Johnson (who did the spoken bridge of "Those Oldies But Goodies") as to who was the real Little Caesar.